Condition: Excellent. Fold as issued. Ample margins. Verso: blank. 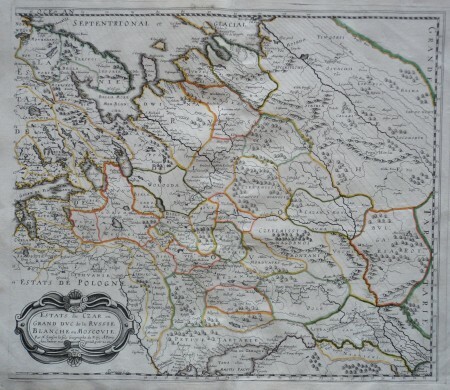 Large folio map of Belarus oriented to the north. 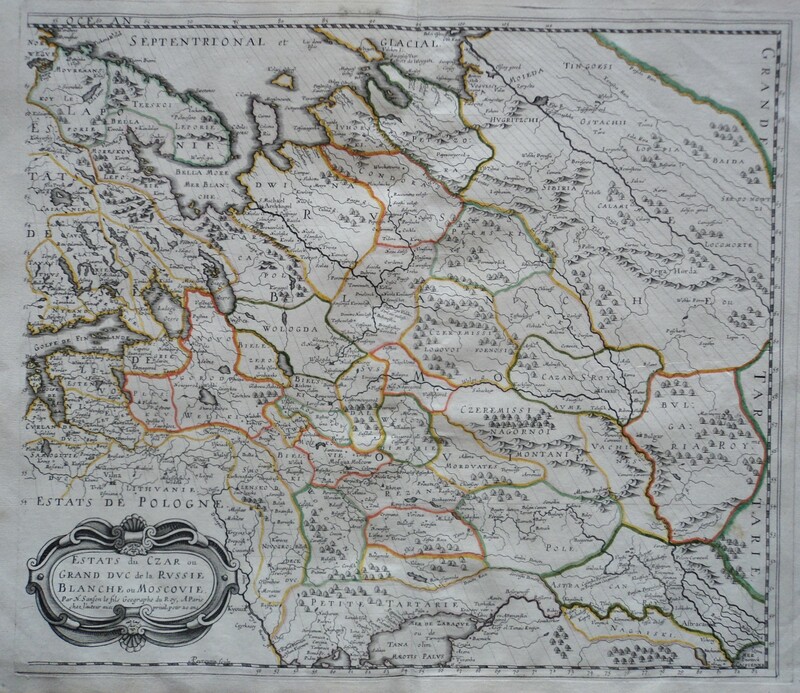 This map set the standard for Russian cartography in the 17th century. Moscow is shown roughly in the center, and the map extends to the Arctic at the top and the Caspian Sea at the bottom. A decorative cartouche surrounds the title. Engraved by A. Peyrounin.